Tam Bac Lake (Hồ Tam Bạc) (also known as Tam Bac River) located between Le Chan (Lê Chân) and Hong Bang (Hồng Bàng) districts stretches from the city center and ends at Tam Ky (Tam Kỳ) dam. Being near the old colonial quarter, the 50,000 m2 Tam Bac Lake with the 3m in depth is the beautiful place you should visit if you travel to Hai Phong. 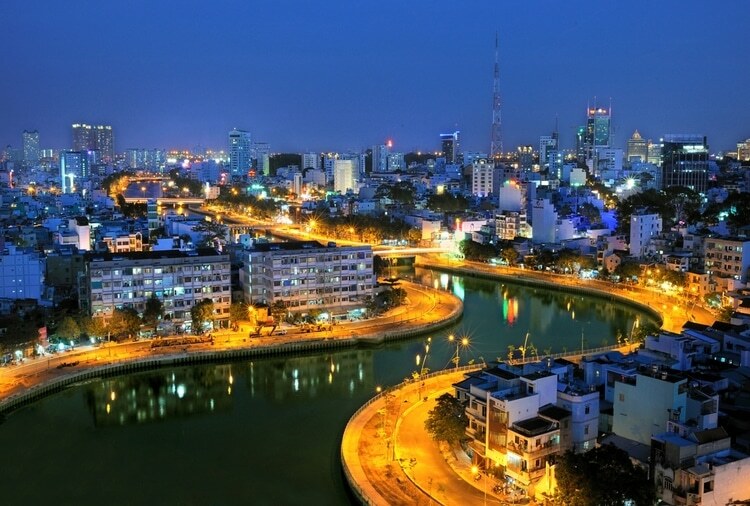 Hai Phong is a beautiful city with picturesque landscapes and sightseeing; therefore, it will be an omission if you visit Tam Bac Lake Hai Phong without seeing other attractions of this city. The best time to visit Tam Bac Lake Hai Phong is spring season when the humidity and heat are mild with a lot of sunshine and blue skies. The water temperature is also warmer at this time. In the spring season, Tam Back Lake is also the most beautiful with green trees, clear water, fresh air, and active fishes. In 1905, the French straightened and widened Liem Khe (Liêm Khê) river located in An Bien (An Biên) commune to build a boundary canal with 2,800m long, 74m wide and 7m in depth. In 1925, the French filled a short section of the channel, and the left part is called Lap River (sông Lấp) by locals. In 1985, on the occasion the 30 anniversary of Hai Phong liberation, when Lap river was 100 years old (1885 – 1985), Hai Phong built Tam Ky dam (đập Tam Kỳ), banking up the river and joining Quang Trung and Tran Nguyen Han street (Đường Trần Nguyên Hãn) and then renamed the river. It was also the time the river has the name Tam Bac Lake that was called Tram Bac River (Sông Trạm Bạc) before the change. When being Tram Bac River, this river was a place of thick mud, sewage, and garbage. Since 1997, Vietnamese people have improved the sanitary condition of the river’s banks remarkably. In 1998, Tam Bac River had new beauty with flowers and green trees along the banks. Nowadays, Tam Bac Lake is a favorite spot of Hai Phong for visitors. The picturesque landscape and sightseeing along the lake banks can give people the best place to enjoy a pleasant walk. It is also great for you to come to this place for relaxing or going fishing. There are a few local restaurants, fashion shops and engine shops nearby. If you want to go shopping, I would like to notice that many items may come from China or untrustworthy sources without a test; therefore, you should be careful. Furthermore, you can also come to Quan Hoa (Quán Hoa) or an impressive flower market at the eastern side of the Tam Bac Lake. This marker established in 1941, nowadays, it is a small center where sells a lot of fresh, beautiful flowers. It has five nice arched-roof kiosks. Not far from the Tam Bac Lake is the brass-cast Le Chan Woman General Statue (Tượng đài Nữ tướng Lê Chân), one of the heaviest statues of Vietnam with 19 tons heavy, where you can visit and explore. 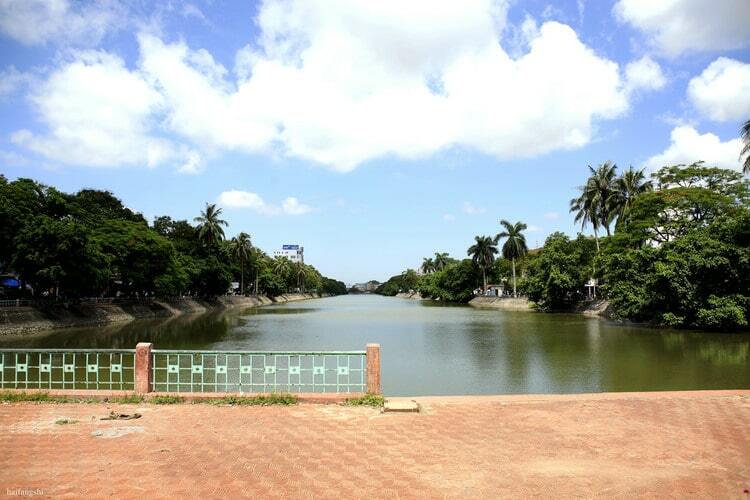 With clean lake and beautiful large walk side as well as fresh air, Tam Bac Lake Hai Phong is a wonderful place for you to enjoy a peaceful time here, walking, running, having a drink, etc. You also see the old men playing chess in this place. Relaxing at Tam Bac Lake spot in the evening is a great experience because when the light turns on, Tam Bac River is more beautiful with no sunlight and cold atmosphere. Hai Phong is a famous tourism city; therefore, tourist services have been developing here for a long time ago. Tourists who travel to Hai Phong can easily find many hotels, resorts, and homestays with prices ranging from hundreds to millions VND. 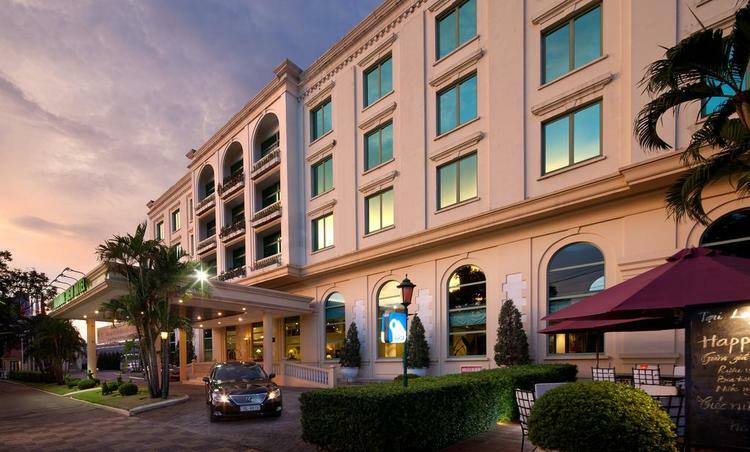 The famous four-star hotels include Huu Nghi Hai Phong Hotel (Khách sạn Hữu Nghị Hải Phòng) at 60 Dien Bien Phu (Điện Biên Phủ), and Hai Phong Habour View at 12 Tran Phu (Trần Phú) that may be far from Tam Bac Lake. These hotels have the price of no more than 2 million VND for a double room per night. There are also 3-star hotels with about 1 million VND per night such as Classic Hoang Long Hotel at 25 Tran Quang Khai (Trần Quang Khải) (1.7km far from Tam Bac Lake) and Lac Long Hotel Hai Phong at 83 Bach Dang (Bạch Đằng) (0.4km). If you want to stay at a cheap hotel, there are also many options such as Pham Ha Hotel (1.5km), Dong Duong Hotel (1.5km), Bach Dang Hotel (1.3km), etc. Hai Phong is considered as a paradise of cuisine. Talking about Hai Phong’s specialties, we should mention the foods such As Banh Da Cua (Bánh Đa Cua), Bun Tom (Bún Tôm), Bun Ca (Bún Cá), or Nem Cua Be (Nem Cua Bể). If you want to taste the delicious foods of Hai Phong with affordable prices, you should come to Co Dao market (chợ Cố Đạo), Luong Van Can market (chợ Lương Văn Can), and Cat Bi market (chợ Cát Bi). Near Tam Bac Lake, you can also find several food spots to eat. For example, the Phuong Mai Restaurant at 87 Cat Cut (Cát Cụt) is well-known for the services and delicious foods such as Nem Cua Be (Nem Cua Bể), Bun Cha Quat (Bún Chả Quạt) and Cha Muc (Chả Mực). There are many beautiful attractions in Hai Phong City and Tam Bac Lake is one of the must-see spots for tourists and visitors. I hope that you can find the useful information and travel guide to Tam Bac Lake here. Any questions can be left in the comment section, and we will answer as soon as we can. To know more about Vietnam travel, visit our Vina homepage.